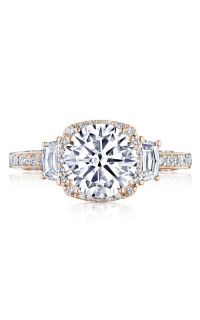 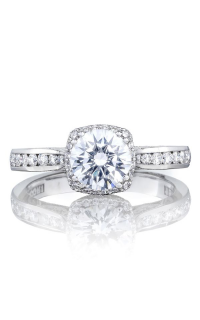 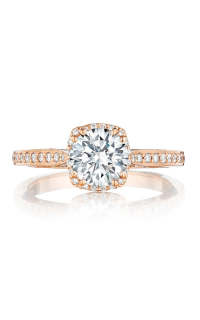 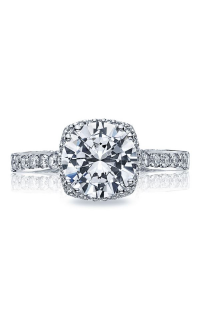 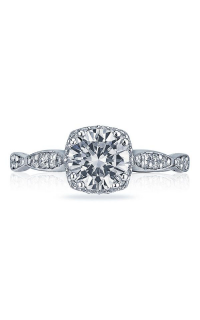 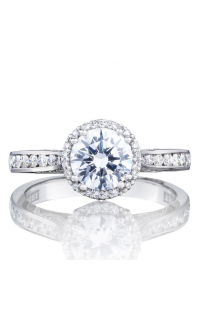 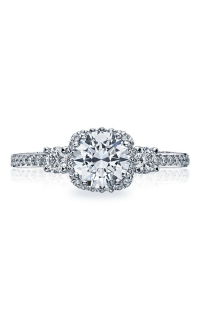 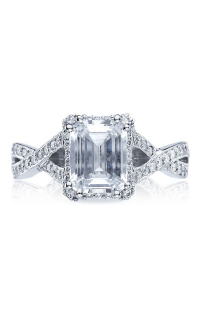 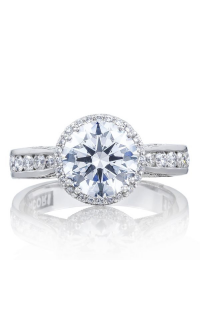 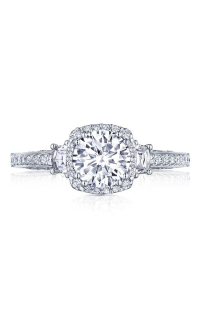 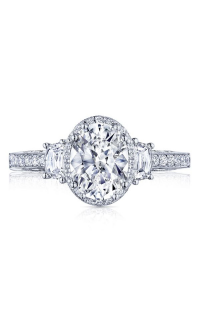 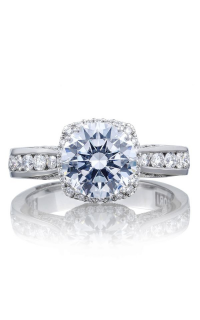 Pop the question with this delicate engagement ring by Tacori. 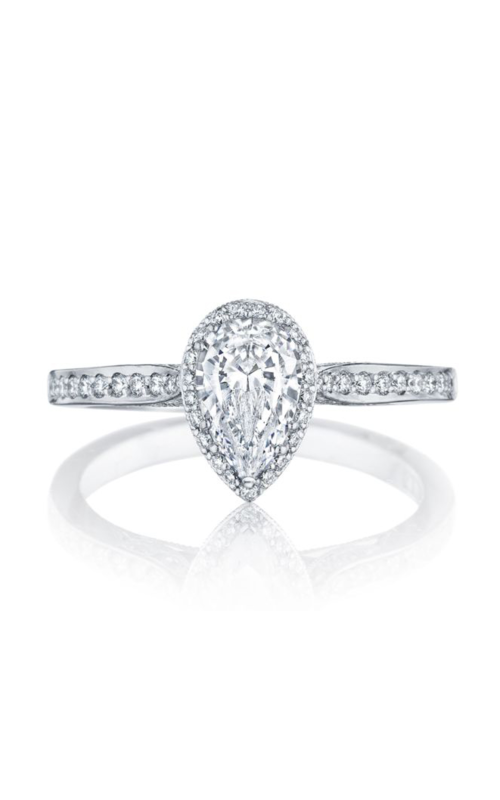 Created with 18k white gold, this ring symbolizes your sincere love and compassion to your loved one. 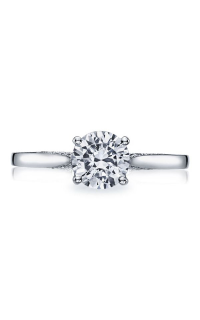 Set within a Prong setting, this ring allows a great amount of light to outline the center stone of the piece. 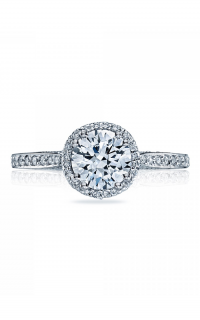 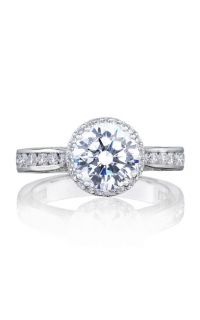 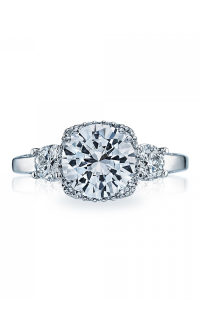 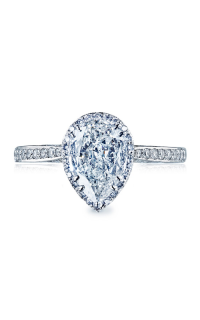 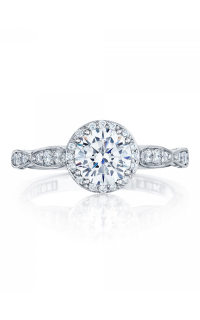 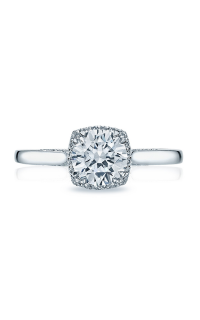 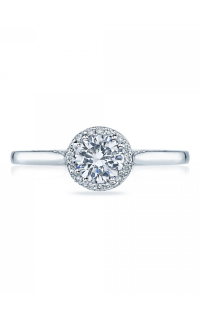 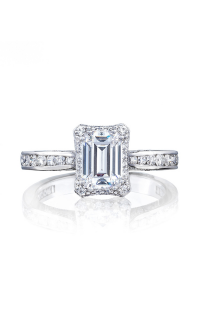 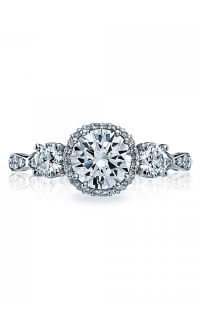 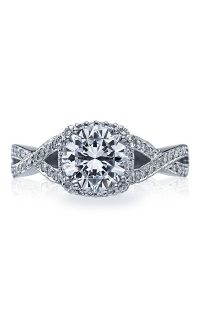 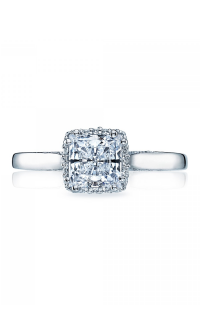 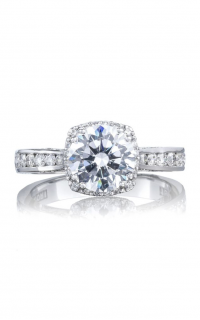 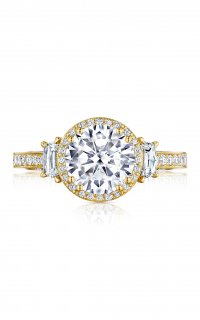 Rest assured, this Halo engagement ring will sparkle its wearer with beauty and glimmer. 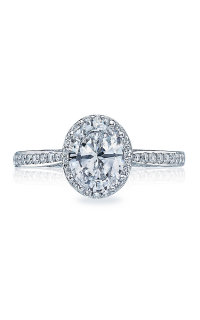 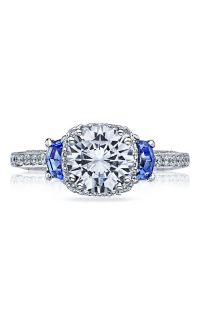 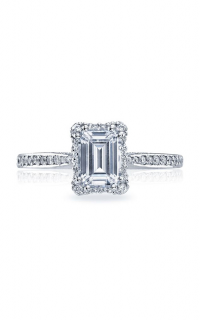 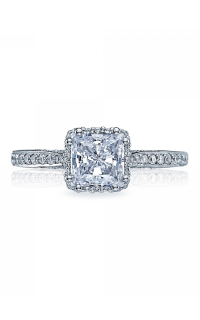 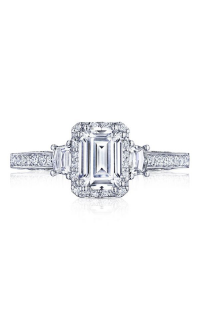 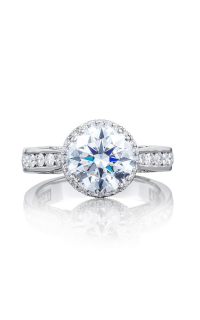 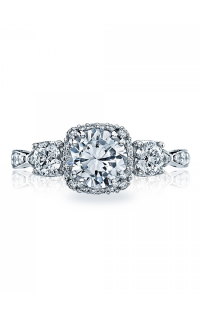 Dalzell & Co. is an authorized distributor of Tacori. 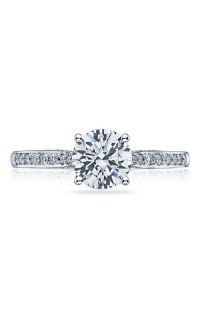 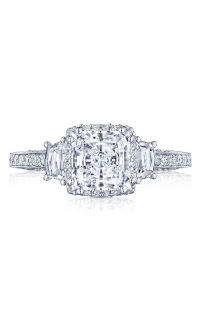 Our retail store carry great selections on Tacori items, so drop by and see this engagement ring with model number 2620PS8X5PW for yourself.